Cardiff remained top of the Sky Bet Championship despite dropping their first points of the season in a 1-1 draw at Fulham. They may have lost their 100 per cent record, but the manner of the fightback - substitute Danny Ward cancelled out Ryan Sessegnon's opener - was more proof that Neil Warnock's side possess the necessary qualities to contend for promotion this season. 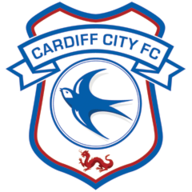 The Bluebirds began with the confidence of a side which had won every one of their five league games so far this term. Nathaniel Mendez-Laing and Junior Hoilett stretched the Fulham defence out wide and used the full width of the Craven Cottage pitch. Hoilett skied a free-kick, while Loic Damour flung himself at a Joe Ralls cross only to head wide. It took 20 minutes before Fulham finally roused themselves. Floyd Ayite pulled a low cross back for Sessegnon but his scooped shot curved wide of the post. Three minutes later, and faced by only Neil Etheridge, Sessegnon struck a shot that was heading into the far corner before the Cardiff goalkeeper palmed it away. 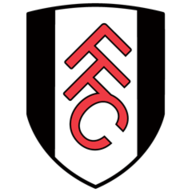 Oddly, referee Tony Harrington gave a goal-kick instead of a corner which provoked consternation among the Fulham faithful and meant the Cardiff players quickly cut short their congratulations towards Etheridge. Fulham continued to press. New signing Yohan Mollo bent a free-kick bent around the wall and just wide before Etheridge was called into action again as half-time approached. First, he parried a Stefan Johansen drive and then denied Ayite in his attempt to convert the rebound at his near post. The second half replicated the first with Cardiff exerting a measure of control for the opening period. An audacious back-heel by Aron Gunnarsson amid a goalmouth scramble was spotted just in time by Fulham 'keeper David Button. As the match opened up, chances arrived at both ends with Ayite the next to go close with a 63rd-minute low drive which struck the base of the Cardiff post. Next, Etheridge raced out of his goal to clear, but then saw Johansen round him before full-back Joe Bennett hacked clear. A goal seemed inevitable. Cardiff almost seized it only for Zohore to see his shot blocked by desperate Fulham defending after 72 minutes. Two minutes later, Fulham took the lead. Ayite sprinted into the area but his shot was blocked superbly by Sean Morrison only for the ball to spring into the path of Sessegnon to sweep home. Warnock responded by bringing on Liam Feeney and Ward. The pair combined for the equaliser seven minutes from time with Feeney standing up a cross for Ward to head home neatly. The visitors almost snatched victory in the 90th minute when a Mendez-Laing cross struck the Fulham crossbar. Slavisa Jokanovic: "We can be satisfied that we showed a fighting spirit and we pushed hard. But we were not clinical at times and in the last minutes we didn't score a second goal, we didn't manage the situation well enough and we paid an expensive price. "We made a few mistakes before they scored their goal and we missed some quality in our final passes. We are disappointed. That's normal but we have another chance of a win at home immediately in front of us. I hope we are going to do it this week against Hull." Neil Warnock: "It was a cracking match. Both sides had chances and I don't think anyone deserved to lose. We showed good character to come back with only seven minutes to go. Absolutely, it was a point gained because we'll not get a tougher game than that. "It's a different game to any other in the Championship. Nobody else plays like Fulham and I thought our big lads at the back adapted really well. Fulham will have a good run at some stage. If any questions needed answering, I thought today answered them. We were playing against a different type of team and we went behind as well, which could have killed a lesser team."